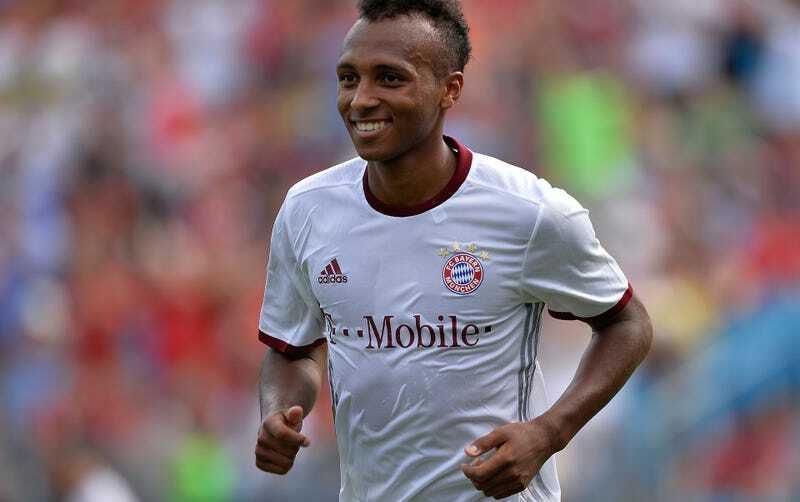 Julian Green was never going to make it at Bayern Munich. He is a fairly promising homegrown prospect at a club that (at least historically) values integrating players developed in-house, but he’s also a not all that talented player—not enough to consistently earn developmental minutes at one of the four or five biggest clubs in the world—who still hasn’t found his natural position and hasn’t shown much of anything on the pitch to justify his continued place on Bayern’s roster. The longer Green stayed at Bayern, the more he delayed truly starting his professional career in earnest, and the lower the odds became of him eventually hitting a talent ceiling high enough to merit a surefire starting spot at a mediocre-to-good European club and a regular place in the USMNT. That is why it’s a good thing that Bayern announced today that next month Green will move from the reigning Bundesliga champions to recently relegated Stuttgart in Germany’s second division on a permanent deal. At Stuttgart, Green will have an honest opportunity to compete for playing time and eventually maybe a starting spot by proving in practice that he is just as good or better than the other forwards on the team—something that was never the case in the superstar-laden Bayern training sessions. Germany’s second division will offer Green more chances to see the pitch alongside and against opponents closer to his current talent level, and he can do so away from the expectations and entitlements that come with being a Bayern player. When Green was more highly regarded a couple years ago, he spent a season on loan at Hamburg. There, he was predicted to get a lot of games. Instead, he was dropped down to their reserve team, reportedly because of attitude problems, though Green denied that characterization. In any case, the young winger/striker will almost certainly have no ego about doing exactly as Stuttgart request, since this may be his last shot at proving himself worthy of a spot in the squad of an ambitious team in a good league. All of this means that Green will now have to demonstrate his abilities and fight for minutes the way every other pro is expected to. Stuttgart are traditionally a fairly big club in Germany (this is their first season outside the first division in 40 years), and they currently sit third in the 2. Bundesliga table, just two points off the top spot. There’s every reason to believe they’ll be back in Germany’s and one of the world’s best leagues sooner than later. And while Green isn’t considered a hot prospect for a megaclub like Bayern, he will be considered a potential unpolished diamond at Stuttgart, so he’ll presumably be given every opportunity to succeed, thrive, and grow into the legitimately good player he can be. Whether Stuttgart are back and performing well in the Bundesliga in a year or two, and whether the goals of Green are a key part in getting them there, is now a matter to a large extent in Green’s own hands. Going from Bayern to Stuttgart is unquestionably a massive step down. But for Green, stepping down is the only way he can show whether he has what it takes to step up.